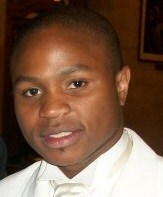 Bio: Garikai Nyaruwata is a Rhodes Scholar and a Mandela-Rhodes Scholar, who recently completed the MSc in Financial Economics and the MSc in Economics for Development at The University of Oxford. His research investigates the differential impact that alternative forms of financing have on innovation in developing country firms. Prior to Oxford, Garikai was a Research Associate with The Southern African Labour and Development Research Unit (SALDRU) where he investigated the development of household debt and financial access in South Africa for the Presidency-commissioned National Income Dynamics Study. Garikai now works as a consultant in Johannesburg. Episode Summary: Garikai Nyaruwata describes the ways in which private equity may be uniquely suited for addressing some of Africa’s development challenges, as well as some of the barriers to its successful implementation.